Long ., Hot Summer Days!!! We are currently experiencing long, hot dry summer days. Although I can see them getting shorter. It used to be light when I got up from work and it is not anymore. I know this since I just worked on Monday. The grandkids came over yesterday to swim in the new pool that papa got for them. It is quite a bit deeper than the little wading pool they had. (That one went to keep a puppy cool for the rest of the summer.) Nic got himself a floating last week. So Harlee had to have one too. They look like inflated donuts. Coop has a tiny one. Anyway they seem to be having fun out the back. Good thing it fits on the lower deck, because with a hill in our back yard, it makes it hard to put up a pool. Just went with Kirsten and the boys for their well kid checks. Poor Coop had to get his ears cleaned out and get 2 shots so he can go to preschool. Kirsten will get him signed up mid August. A lot of the state is on fire because it is so dry and hot. We need rain desperately. So far July is the 5th hottest on record and 6th driest. Harvesting is early. Last Sat. 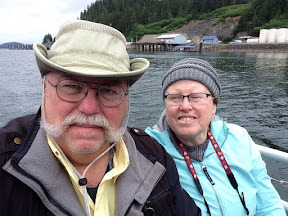 we drove west to Seeley Lake to visit their quilt shop as they were having their big birthday sale. As we went through Lincoln, which is about 90 west of us you could see the smoke coming out of the mountains and they had a fire camp all set up. 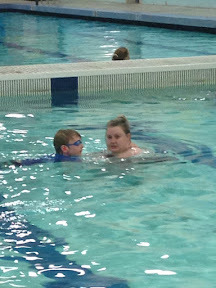 And last week we finished up 3 weeks of swimming lessons with the grandsons. Coop still won't jump off the side or the diving board. But he did get in the water and paddle around. I mean he is only 4. And it's been busy! Curtis did an Avis run to East Glacier! So that meant I was up early! Boy, it was smokey out this morning! And that reeks havoc with my allergies! Yesterday, I was indoors working so not much chance of allergies bothering me. I ran a few errands! Kirsten and the munchkins came over after lunch. Harlee and Nic went in the pool! Coop decided he wanted to go swimming when it was time to leave! And it was cooler today, so quite pleasant sitting out on the back deck., as the smoke blew away. 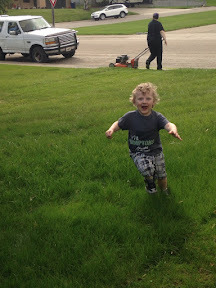 We watched the Thunderbirds flying around practicing since tomorrow is the air show! 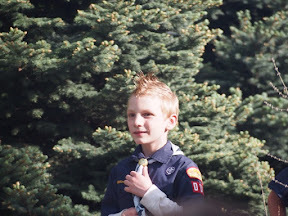 Putting up a few photos of Nic from his Boy Scout ceremony back at the end of May! He moved up a level. 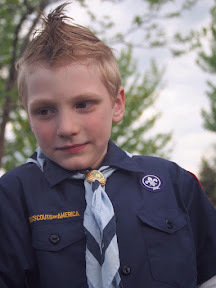 He is now a Webelos. From when the girls took a road trip to Seattle last summer to visit Cait. 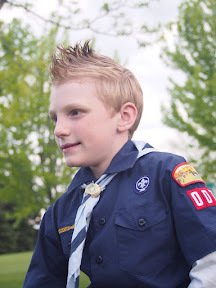 After a few months break of not blogging it is time to resurrect the old blog! I have had requests to not stop from Curtis's dad who likes to see what we are up to and see photos of his great grandkids. 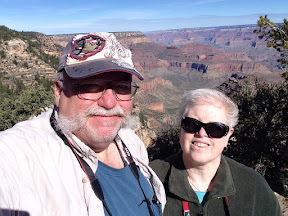 Curtis and I took a toodle to the Grand Canyon in late April! It was pretty crowded considering it wasn't summer holidays! Cooper also turned 4 in Mid April! 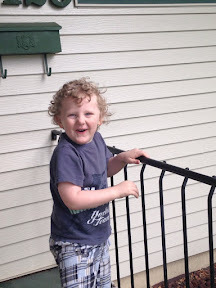 Golly- how can he be four already!!! 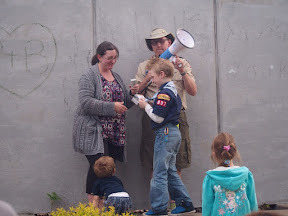 He told his mum at the end of the day he didn't want his birthday to be over! How cute is that??? I had my gall bladder out the beginning of May and I am glad to be rid of that pesky thing! It caused me some great distress prior to its removal! 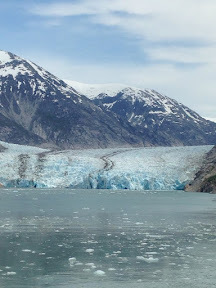 In June we headed to the coast for a visit with Cait and to embark on a 2 week cruise to Alaska! 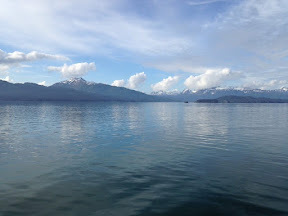 It is great to really just unplug from life and enjoy the pristine scenery that only Alaska can provide! It's been super hot weather since we came back! With days way up to 100F! Way too hot for this gal! 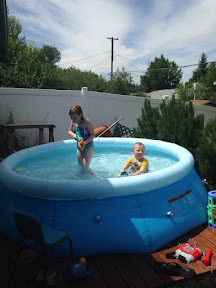 Curtis invested in a bigger pool for the grandkids, which they have thoroughly enjoyed! And the last 3 weeks the mornings have been spent at the pool in the high school with the boys doing swim lessons! Still creating! Trying to get some cards ready to enter in the fair! 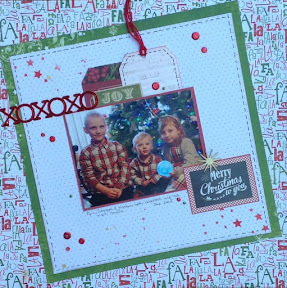 I won't do layouts as they want only 2 pagers with 3 or more photos! Baloney on that! 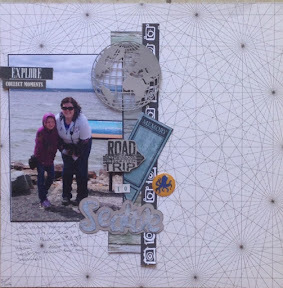 They gave no idea what is current in the scrapbook world!